인기 만점인 제트스트림 볼펜이 산뜻한 메탈릭 컬러 스타일로 출시되었다. 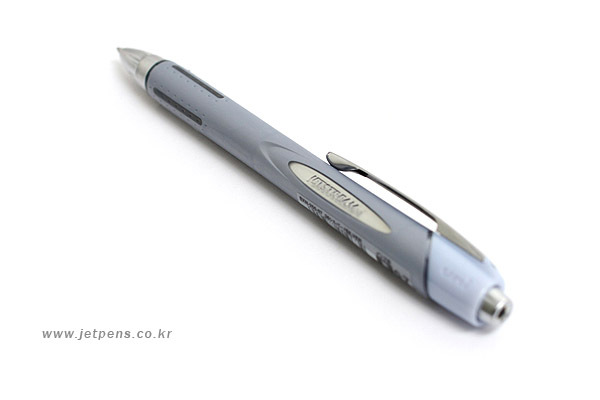 특별 고안된 잉크는 번짐이 없고 내수성이 뛰어나며 빠르게 건조된다. 제트 기류처럼 잘 빠진 세련된 디자인에 너무나 부드럽게 써지는 최고의 볼 포인트 펜! 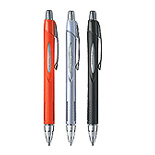 The famous Jetstream pen is now available in a sleeker, metallic color plastic body style. 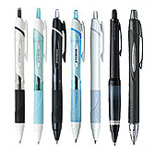 Specially formulated ink is fade and water resistant and flows smoothly.